As we all know that kids are very fussy about food. They would want to have something at one moment and refuse to eat anything else. They need a different variety of food for each meal and will not eat the same food that they had for lunch. We have a variety of recipes for kids that you can give them for breakfast, snacks or lunch. Kids love to have Bata Poha or Upma for for breakfast. You could also give them a choice of parathas like Stuffed Spinach Paratha which can also be given as a tiffin snack for school along with some achar, Garlic Pickle. 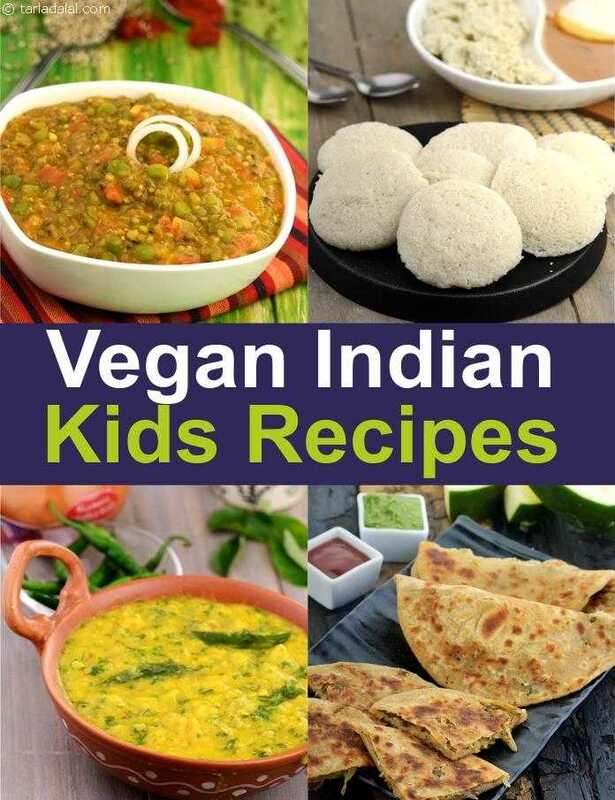 Kids can have Idli with Sambar for lunch or a Nourishing Khichdi. There are lots of parathas, dals, sabzis and khichdis to choose for a Vegan lunch. Here is a treasure trove of mouthwatering recipes that are sure to please your kids. From tikkis Lehsuni Matki Palak Tikki and delicious pancakes Mini Nachni Pancake to Sabudana Vada we have snacks of all kinds to suit your child’s mood. A few dry snack for tiffin treats also find place in this section. Try out Baked Puris, Cashew Chikki and No Bake Oats are a few carefully selected recipes and are 100% vegan i.e. avoids the use of milk and milk products, honey, butter or ghee.